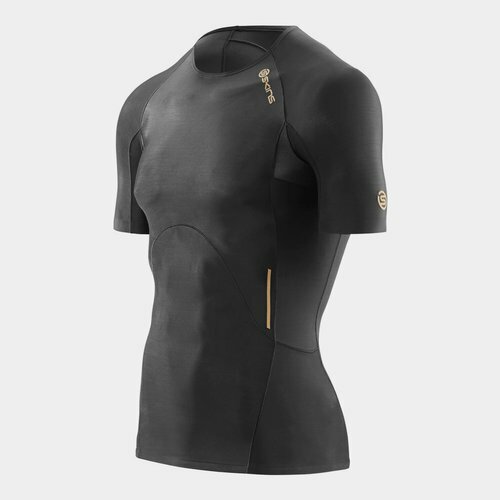 Developed and even re-developed to meet the demands of a body in movement, the top has been softly constructed from five different materials. With the added benefit of mesh inserts under the arms, this is a welcome fresh touch for increased breathability. No one likes their top riding up so to combat this annoying little problem, SKINS have included silicone insert wrapped around the inside of the waist so it stays in place even during extreme movements. Sporting a plain black look to the top, gold SKINS detailing adds a classy touch befitting of this high performance wear.